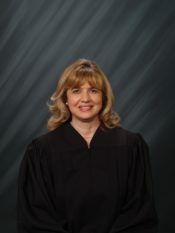 Judge Diann Marsalek (’89) of the Circuit Court of Cook County was elected President of the Illinois Judges Foundation (IJF), which is the charitable arm of the Illinois Judges Association. The IJF funds educational, civic, and scholarship projects which advance the rule of law, the legal profession, and the administration of justice. It also encourages judicial participation in these endeavors.